Since SHAKEN came out yesterday (and a HUGE thank you to those of you who pre-ordered and ordered yesterday — you guys made my day! ), I thought I’d share a few fun facts about its inception and creation. Wheeee! The San Francisco where Mitzy lives is pretty significantly different than the San Francisco in this world. I won’t go into too much detail about this here, since I wrote about it on Spellbound Scribes last week, but Mitzy’s San Francisco includes some fictional locations and some cemeteries that are no longer in use. Because magic is a part of the physical landscape of Mitzy’s world, I needed to restructure San Francisco to reflect how that might have shaped history. I worked as a reporter in Berkeley, covering Oakland and a little bit of San Francisco, too, and the Bay Area is one of my favorite places in the world. My very first job out of graduate school was working as a reporter, first as an intern and than as a police-beat reporter, in Berkeley. That job was difficult and fun and exciting and terrifying, and I think it shaped the trajectory of my entire career. I’m not a newspaper reporter anymore, but working as a reporter in Berkeley and elsewhere made me a significantly better writer than I could have been without that time of strict word limits, careful research, and tight deadlines. It also instilled in me a love of that area and its residents that I’ll never get over. 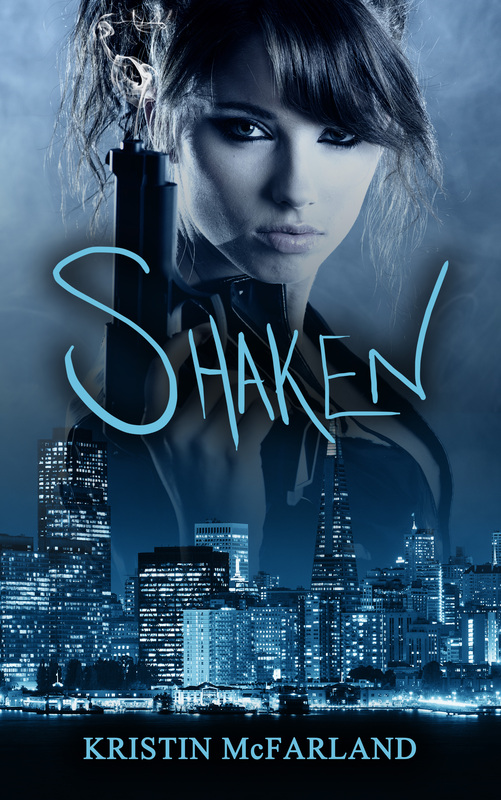 When I first thought of SHAKEN, it wasn’t an urban fantasy: it was a straight-up detective novel. And it didn’t involve a serial killer. Actually, it had almost no resemblance to the book that you can now read. I thought I’d try writing mysteries to get the hang of plot and structure, but I kept getting stuck on the lack of magic and fantasy elements. I didn’t want to be a mystery writer. I wanted to write fantasy. I’ve always wanted to write fantasy, and I don’t think I’ll ever not write fantasy.Somewhere along the way of writing SHAKEN, I got the idea of a world where everyone has magic. Urban fantasy was peaking right around then, and, well, put those elements together and you get the odd little book that is SHAKEN. I’ve since gone on to write a cozy mystery (no magic! really!) and thoroughly enjoyed it, but fantasy will always be where I live. I set out wanting to write about a female addict. This was a part of my vision for the character of Mitzy from the beginning, pre-magic, pre-urban fantasy. I knew she would be from a privileged background and be forced to deal with letting go of the advantages given to her by birth. The addict-detective trope is actually pretty familiar to anyone who likes Sherlock Holmes, but that character is usually a man, not a woman. Women are addicts, too, and have to face the consequences of the choices they make while under the influence. Mitzy is my exploration of these issues. I have a Pinterest board where you can see a bit of my vision of the novel. I used it to collect faces and items and locations, and sometimes I like to peek at it and remember back when I was a baby writer and hunting for the perfect pictures of Eva Green and Nestor Carbonell. I never found my Li, sadly, but I’ll bet she’s out there somewhere. There’s also a Spotify playlist of music I listen to while writing in Mitzy’s world. This list has evolved since I wrote SHAKEN and includes some of the tracks I listened to (on a loop!) while writing DIRTY, book two of the series. I finished SHAKEN as a NaNoWriMo project. I distinctly remember starting the book in the summer–this was in (gulp) 2011?–and then it languished for a couple of months around the midpoint. I decided to buckle down in November and get it wrapped up. I’m pretty sure it took me a month or so into December, but “cheating” at NaNo and writing 50,000 words on a project I’d already started gave me a HUGE boost. You absolutely can’t beat NaNoWriMo for giving yourself an exciting, encouraging environment in which to write, and I try to at least dip my toe in every year. I suspect I’ll be NaNo-ing again this year with my current work in progress. SHAKEN isn’t my first novel. Or even, technically, my second. But it is the first book I wrote to completion and recognized as worth editing for readers. The first book I really completed is a 250,000 word monstrosity that takes place in a pseuo-steampunk fantasy world. It’s about a pair of thieves who get mixed up in a political conspiracy. Someday I’d like to rewrite it, but I have too many new projects I want to pursue. You can get SHAKEN now from Amazon!